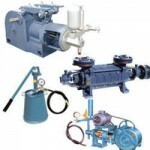 Screw Pumps & Barrel Pumps - Mieco Pumps and Generators Pvt.Ltd Bangalore. 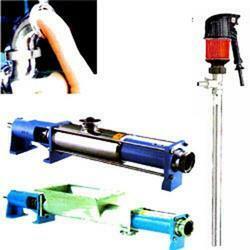 Mieco offers Screw Pumps & Barrel Pumps in Bangalore at affordable prices. 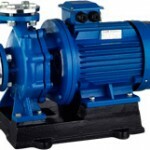 Barrel Pumps are widely used in almost all industries for transfer of Diesel, chemicals etc We offer screw barrel pumps specially meant for transfer of viscous media, like Vaseline, paints, grease etc Pneumatic barrel Pumps, Flameproof Barrel Pumps and complete barrel emptying systems can be provided by us. For smaller applications Hand operated diaphragm pumps in CI, S or PP can be offered for emptying barrels, most suitable for chemicals, alkalis, acids, petroleum products. 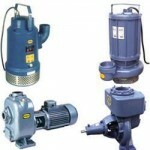 Screw Pumps can be offered with Hoppers / Augers which is widely used for very viscous liquids. They have found its presence in sugar Industries, Dairies, Paint Industries, Paper Industries for pumping of Paper Pulp, temperature having no bar. 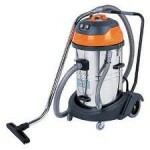 Food Grade items even like tooth paste can be pumped through these pumps without causing any contamination.Best designs pumps are available in Mieco Pumps and they provide best Srew Pumps and Barrel Pumps in Bangalore. Mieco has a wide range of clients from all industrial sectors including industrial barrel pumps, barrel pump, barrel transfer pump, electric barrel pump, electric transfer pump particularly designed and engineered to meet the needs of highly productive industries. Screw pump is a pump that uses one or several screws to move fluids or solids along with the screws axis. The work methodology is very simple , a single screw rotates in a cylindrical cavity, and then it will move to the screws spindle along with material. 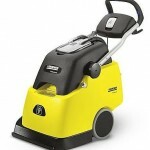 In the irrigation systems and in agricultural machinery and for transportation we use the ancient construction only. Screw pumps has a different type of multiple axis technologies. Where crafted screws rotate in opposite directions or it remains constant within a cavity. 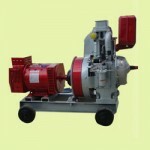 There are three spindle screw pumps are used mainly for transporting of fluids with lubricating properties. 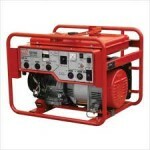 They are suited for fuel- injection, oil burners, hydraulics, lubrication and so on..